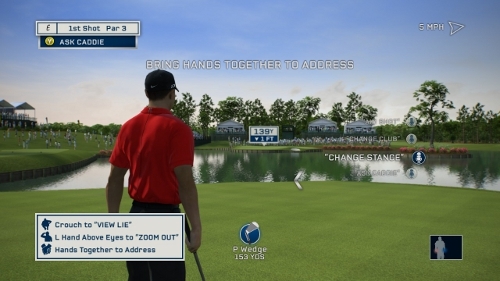 In an update for Tiger Woods PGA Tour 13 that will arrive on Friday EA Sports will be delivering the more traditional way to swing with Kinect for Xbox 360. Tiger 13 originally chose to go with a parallel stance to the TV rather than facing it directly while swinging – which in theory was to better capture the full body in the process. The patch will allow users to swing either way on the two lower difficulty levels whether standing to the side or swinging directly towards the screen. Kotaku has the full details with the thought process behind the update. It’s unclear if the patch will carry with it any other changes or improvements or if it will be solely dedicated to providing the new means of swinging with Kinect. EA seems to think the stance was a big part of why this means of playing hasn’t gained much traction. Was it a detriment to the Kinect experience for you or do you see this as a move made more out of desperation? As always leave any of your thoughts in the comments!